Today I am beyond excited to talk about my new favorite reading app (that is really WAY MORE than just a reading app!) - Oyster, and their subscription service - Oyster Unlimited!! 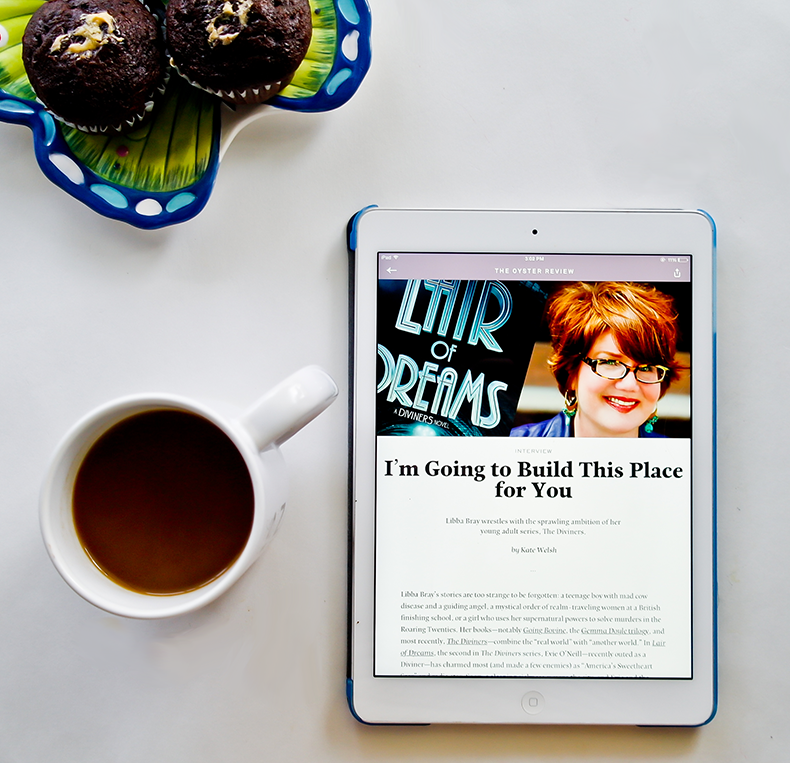 I am also super thrilled to be hosting an AWESOME GIVEAWAY just for you, our awesome readers! One lucky winner will get to win ONE WHOLE YEAR of Oyster Unlimited subscription!! (Please enter via Rafflecopter at the bottom of this post!). What if you don't win? Don't you worry! We got you covered! All of our awesome readers can now get an exclusive deal and try Oyster Unlimited for 3 months for only $0.99! Scroll to the bottom of the post for more details! 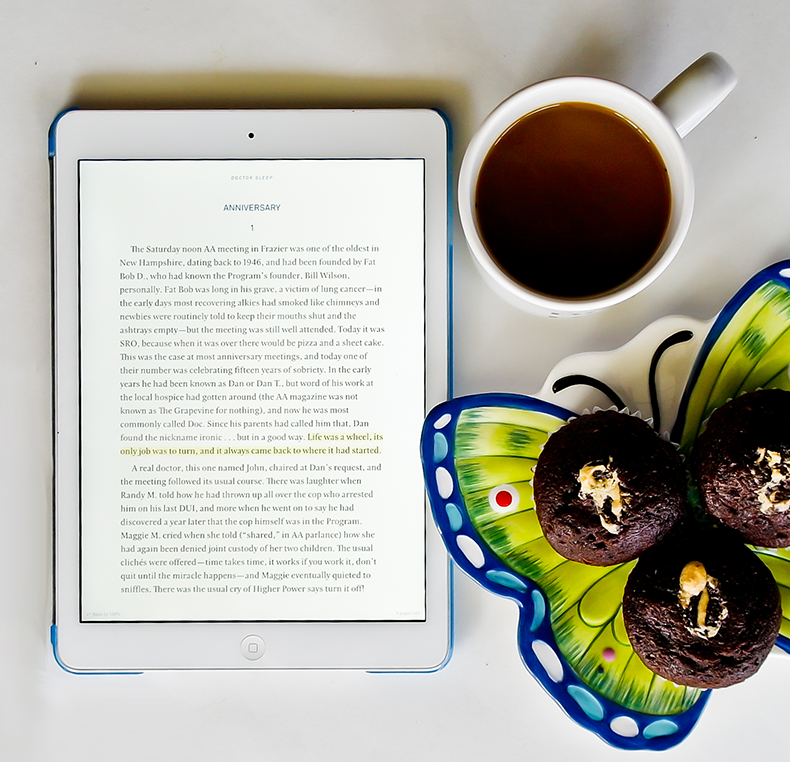 It's a unique and innovative subscription service for ebooks - kind of like NETFLIX, only instead of movies, you get unlimited access to a library of over a million books. 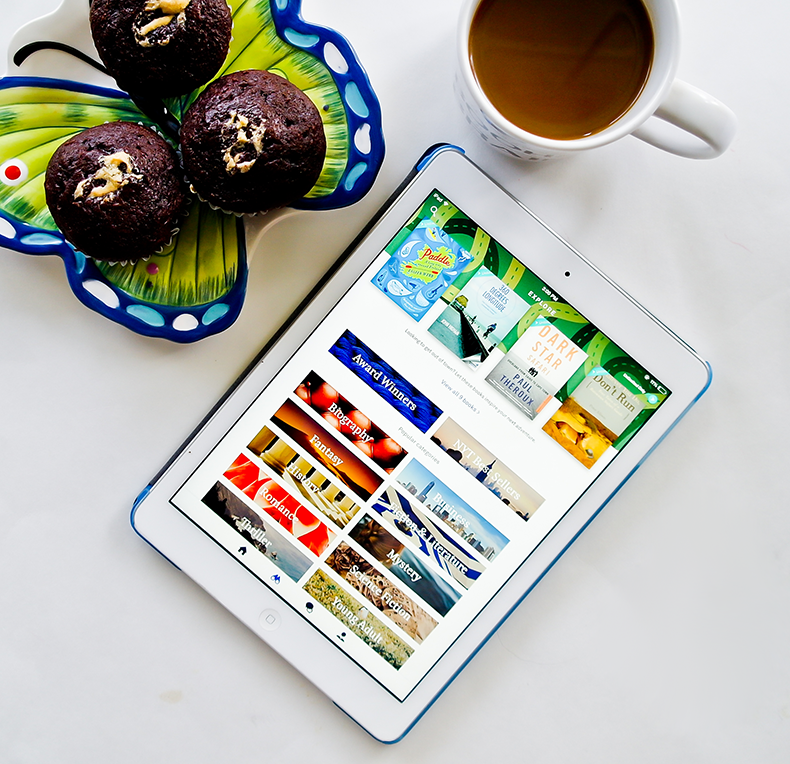 With one account, you can access the books on all your devices (it’s accessible on iPhones and iPads, Android phones and tablets, Kindle Fire, Nook HD, and on the web). You can read as much as you want, too! There is literally no limit - all of the books are available for you whenever you feel like reading! You can even access your current read offline. Like you, we are very passionate about YA over at Oyster. Some of the subscription books our readers love most include The Selection, Harry Potter, The Girl of Fire & Thorns series, and The Summer I Turned Pretty series. 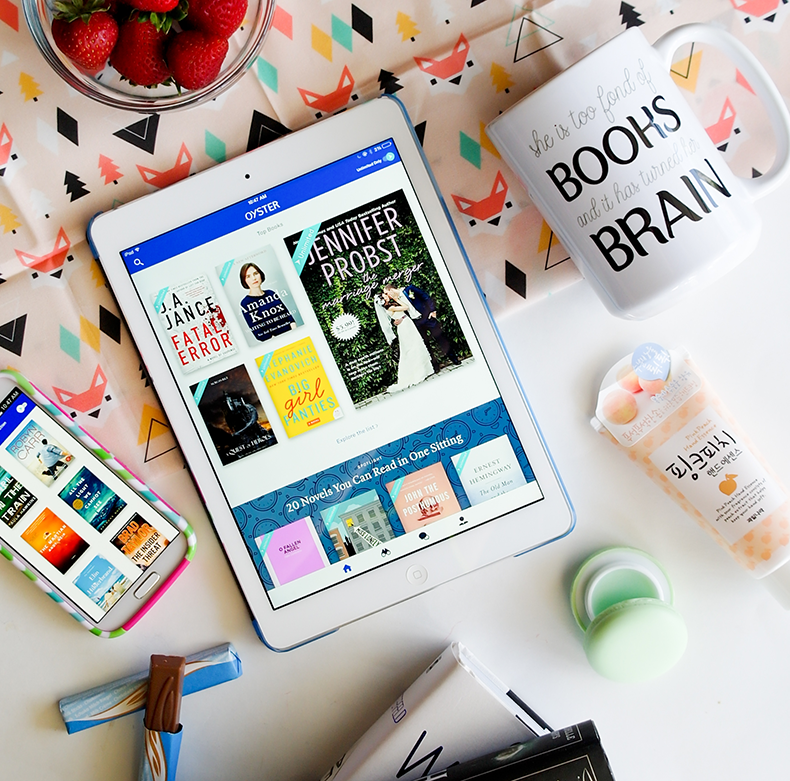 For only $9.95 per month, you get access to thousands of books from 3 of the Big Five publishers (Simon & Schuster, HarperCollins, and Macmillan), as well as many prestigious independent publishers! 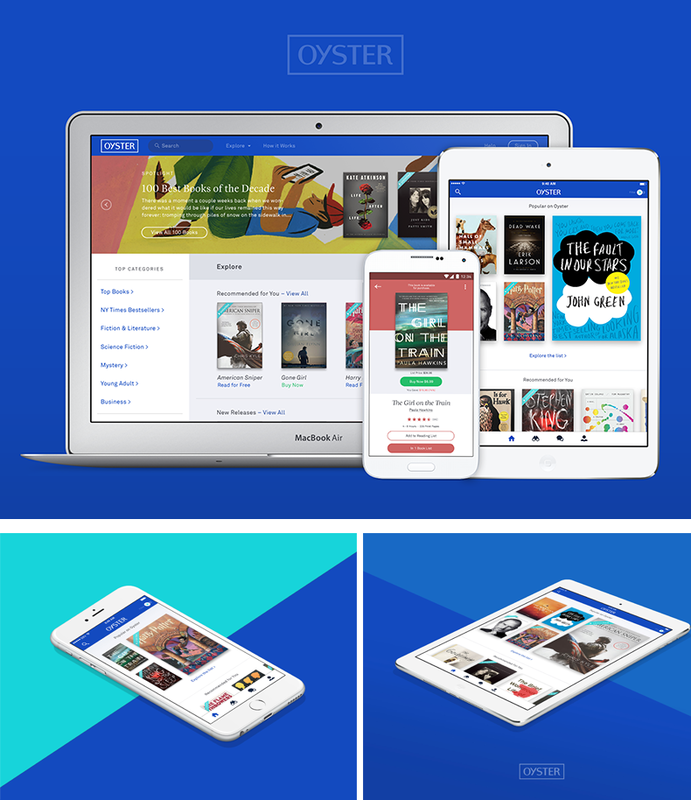 Both subscribers and nonsubscribers can also buy virtually any book in the world in the Oyster ebook store, including all new releases and pre-orders! Oyster is an experience. It's about enjoying books, but it's also about discovering your next favorite read, as well as connecting with fellow readers. ● Oyster matches you with books you’ll like based on data-driven analysis of your past reading activity and preferences. ● You can also find out about great books through exclusive book reviews, author interviews, and reader’s guides in The Oyster Review, Oyster’s online editorial magazine. ● Finally, you can also keep up with what your friends are reading and recommending, and cultivate your own Book Lists to share with the world. - You can access as many books as you want! If, like me, you're a mood reader and you often find yourself switching between books, you no longer have to feel pressured to finish one book before you dive into another. You can start and simultaneously read as many books as your ADHD brain can handle! - You can highlight quotes, add notes and - this is my favorite - copy and share the highlighted excerpts! Highlighting and adding notes is a no-brainer, right, but I've seen reading apps out there that don't offer these simple yet essential functions. As a book blogger, I just have to be able to highlight quotes and make notes so that I can later include them in my reviews. As far as sharing quotes and excerpts goes, or even copying passages and being able to paste them into notepads or emails, this is only the second app I've used that allows it (the other one is Bluefire Reader, though the option only works with epubs and no borrowed galleys). And I am THRILLED! Because when I want to use quotes in my review, I really don't want to be wasting time on typing them myself. Being able to copy and paste is just SO MUCH MORE CONVENIENT! (neither Kindle nor Kobo allow it). - You can make lists and even give them cute cover photos! This is such a fun feature, I just love keeping my books organized and arranged by genre, rating, etc. 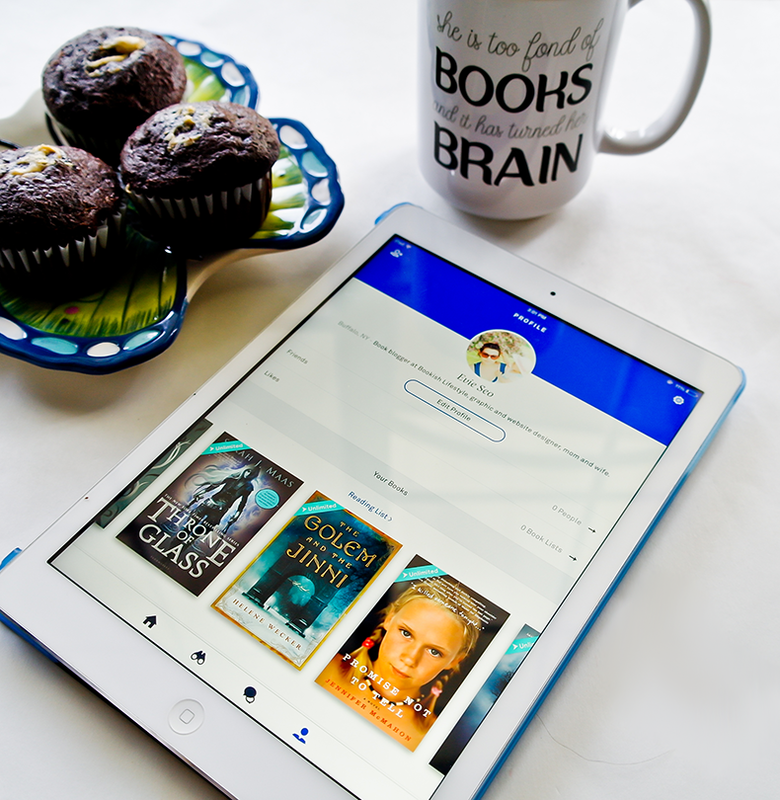 - You can connect with fellow book lovers and invite them to be your friends. This takes reading to a whole new level of awesome, because we all know book lover community is fantastic and friendly - so let's socialize! Link your Facebook and Twitter accounts and find your friends - you can then see what they're reading! - You can change the fonts and swipe either horizontally or vertically. - You can use the brand new function called LUMIN, that automatically adjusts the reading background and brightness for optimal comfort for your eyes. If you like to read before sleep, you will no longer be blinded by the white backdrop and you will also be able to fall asleep better! This, in my opinion, is way cool! ● Oyster is also the only app to offer Lumin, a revolutionary advancement for reading on smartphones and tablets. ○ Studies show that nighttime reading on devices that emit blue light can suppress our bodies’ production of melatonin, keeping us awake and making us less alert the next morning. ○ Based on your location and the time of day, Lumin reduces the blue light coming from your screen as the day turns into night, for a more comfortable experience and better sleep. And if you’re a Harry Potter fan, there’s a special feature just for you—you can read all of the Harry Potter books in custom themes inspired by each Hogwarts House. Exclusive Deal: 3 months for only $0.99! 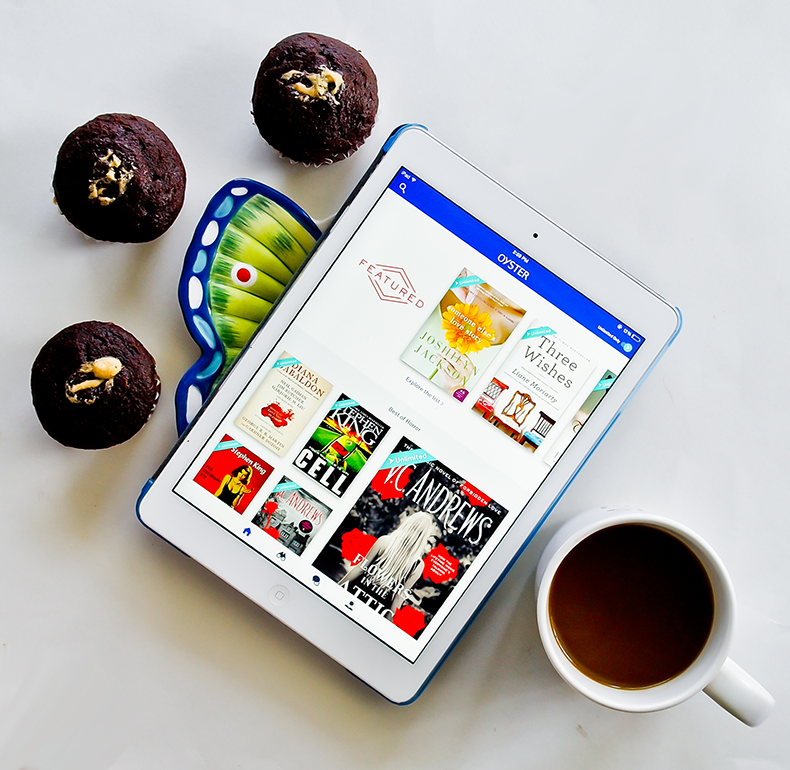 If you're worried you won't win, or simply don't want to wait to find out, here's an exclusive Oyster Unlimited deal, just for Bookish Lifestyle readers!! You can try Oyster Unlimited with all of its awesome features for only $0.99 for 3 WHOLE MONTHS!